Manufacturer of a wide range of products which include din rail terminal blocks, tdm din rail wall mounting push and aluminium tubular terminal ends. 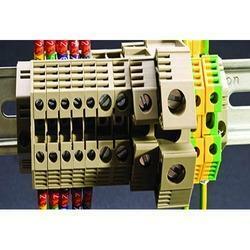 We are passionately engaged in providing our esteemed clients with an exclusive array of DIN Rail Terminal Blocks. These terminal blocks are designed with finest quality material & leading techniques by our skilled workforce. 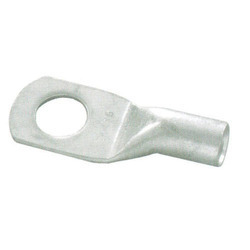 We offer these terminal blocks on varied specifications as per the requirements of clients. The offered terminal blocks suit the standards prescribed by various domestic and international quality institutes. We are remarkable entity, engaged in offering TDM Din Rail Wall Mounting Push. These products are developed by our experts using quality material and latest technology as per the market standards. The offered products are provided in number of specifications to choose from. These products are capable of rendering years of trouble free operation at client's end. Keeping in tune with the latest demands of our prestigious clients, we are actively engaged in offering Aluminium Tubular Terminal Ends. These protection relays can be detached from the body so that the causes of the fault can be ensure without opening the distribution panel door. Our offered protection relays are manufactured by advanced technology & finest quality of material under the supervision of our skilled personnel. Also, customers can avail these protection relays from us in various specifications according to their choices. 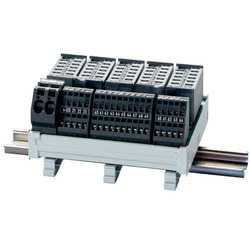 Looking for DIN Rail Terminal Blocks ?